March-2013 Riley Matthews with Her 2 fav.Uncles!!!!. 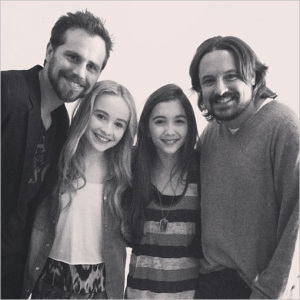 Uncle Shawn Hunter( Rider Strong) , Maya Fox ( Sabrina Carpenter) , Riley Matthews ( Rowan Blanchard) Uncle Eric Matthews ( Will Friedle). Wallpaper and background images in the Boy Meets World club tagged: girl meets world boy meets world rider strong sabrina carpenter rowan blanchard will friedle. This Boy Meets World photo might contain business suit, well dressed person, suit, pants suit, and pantsuit.